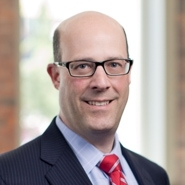 Goulston & Storrs Director Douglas B. Rosner has been ranked #1 among lawyers listed as Top Bankruptcy Lawyers, by volume for US and Canada cases, in Q1 2015. Closing the first quarter with 34 active cases and $895.4 billion in assets, Rosner topped the list after closing out the fourth quarter in 2014 at #2. Additionally, for the fifth quarter in a row, Goulston & Storrs’ Bankruptcy & Restructuring group combined to land the firm among the top law firms on the widely-read The Deal Pipeline Bankruptcy League Tables. Among the law firms listed, Goulston & Storrs ranked #8 in the first quarter of 2015, with 52 active cases as of March 31, 2015. The firm ranked #9 to close out the end of year for 2014. The Deal Pipeline notes that Goulston & Storrs’ cases involved $911.2 billion in assets for Q1 2015. To view the complete first quarter rankings of The Deal Pipeline, click here. The Goulston & Storrs Bankruptcy & Restructuring group is recognized regionally and nationally for its expertise in complex corporate restructurings and insolvency proceedings. Goulston & Storrs represents corporate debtors, creditors' committees, secured and unsecured lenders, parties acquiring assets out of bankruptcy, institutional and private investors, contract parties, landlords, domestic and foreign liquidators, and court-appointed trustees. Our team handles matters across a wide range of industries such as financial, retail, manufacturing and real estate. The Deal's Bankruptcy League Tables are the industry's only league tables focused solely on active bankruptcy cases. The Bankruptcy League Tables by volume involve only active US bankruptcy cases of debtors with liabilities of $10 million or more. The rankings are based on the aggregation of those liability values. The table reflects the number of active cases fitting that criteria and may not characterize the total number of active cases. Firms and professionals only get one credit for each active case, not each active assignment. The Bankruptcy League Tables by number involve US and Canadian bankruptcy cases irrespective of debtor asset size. Professionals receive credit for multiple assignments on one case.